Medium: Watercolor on Japanese Rice paper. 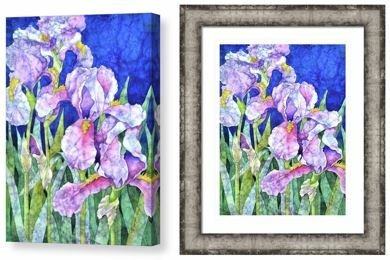 Painting Size: 12" x 16"
A group of elegant purple Iris's basking in the sun of a warm Spring day. This was painted using a technique I call “Faux Batik”. 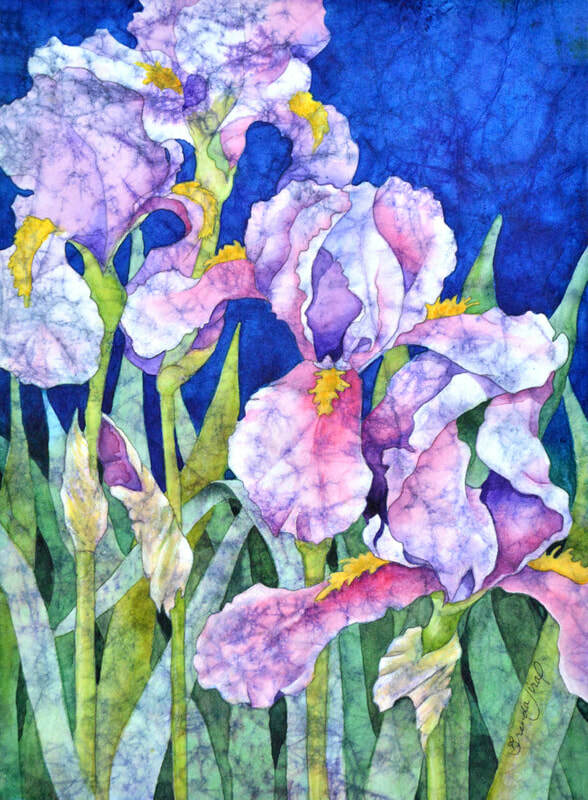 Unlike the traditional batik method, which utilizes hot wax to mask off areas of the painting, and in the process, creating a lovely “crackled” effect. This was done by crinkling the fragile rice paper and painting in the cracks, then allowing it to dry before painting the image over the “cracks”. This gives the painting a unique textured appearance with lovely color variations not possible using traditional watercolor painting techniques.